If your car is making a weird rattling sound, or it’s time for your pre-owned car to get scheduled maintenance, the experts at Acura by Executive can get your car up to snuff fast. Whether you need something simple like an oil change, or a more significant fix like an engine replacement, we’ve got you covered. All you need to do is fill out the form above to schedule an appointment at our North Haven, CT Acura dealership. You can rest assured that every repair you receive will be quality as we only use OEM car parts. Around here, we’re confident in our work, so we’re not afraid to make promises. Before you come down, don’t forget to check out our list of monthly service specials! You may be able to save money on whatever service you’re having performed. 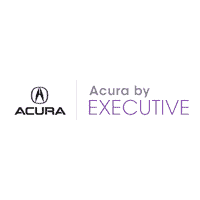 If you have questions or would like to speak with one of our technicians, please call us or contact Acura by Executive online.